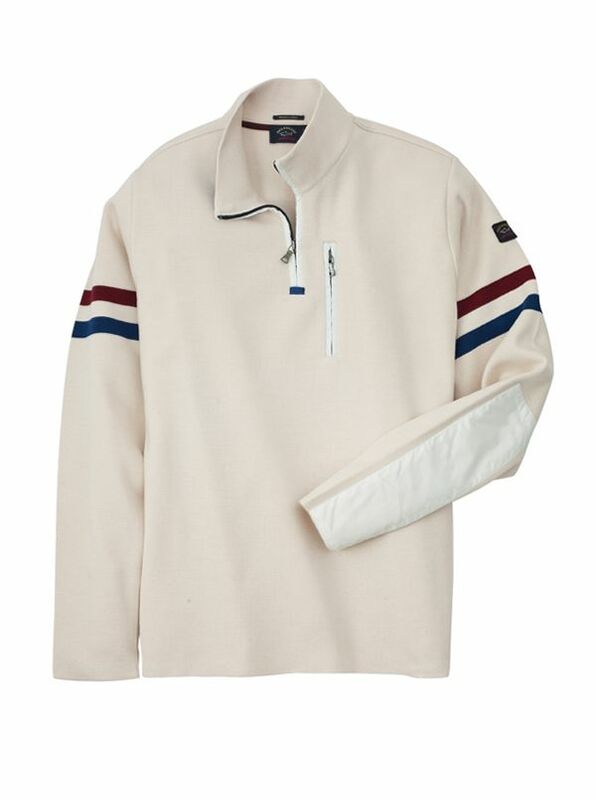 Zip Mock by Paul & Shark, made in Italy of water-repellent 50% wool/50% acrylic. With microfiber-trimmed placket and elbow/arm patches. Front zip mobile pocket.